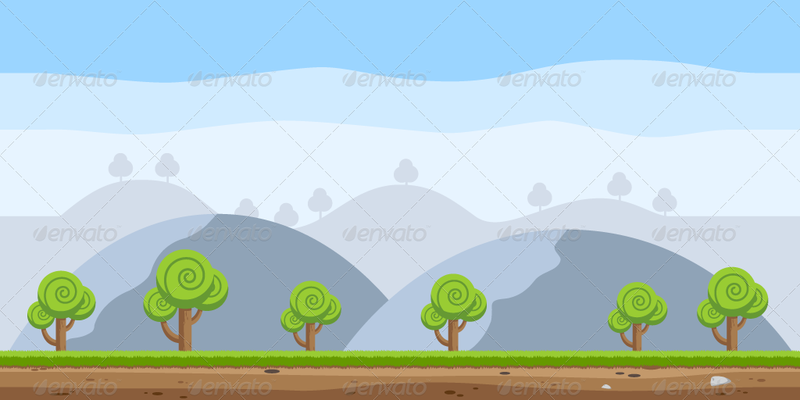 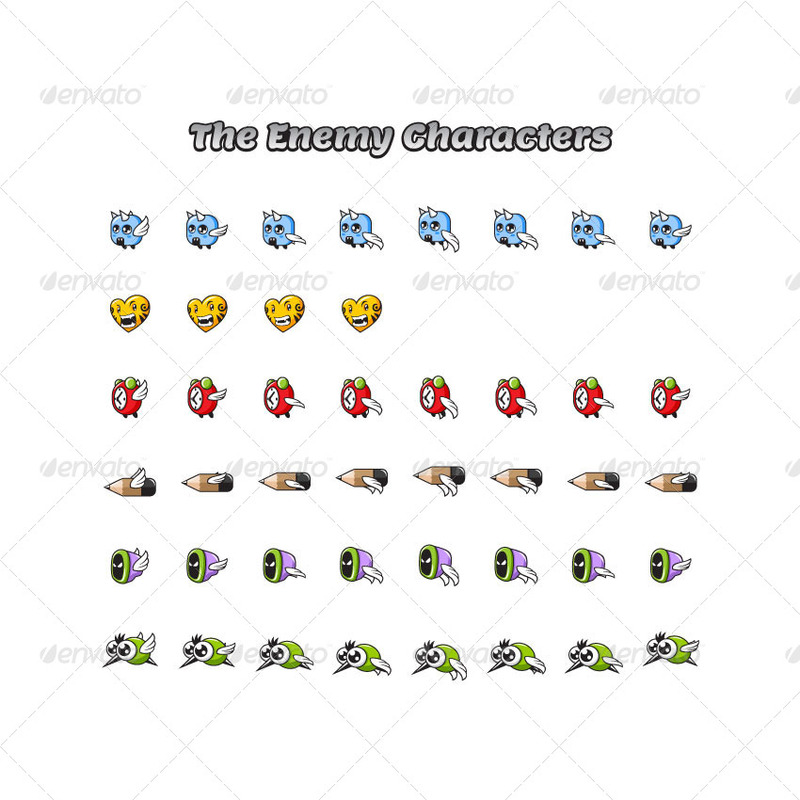 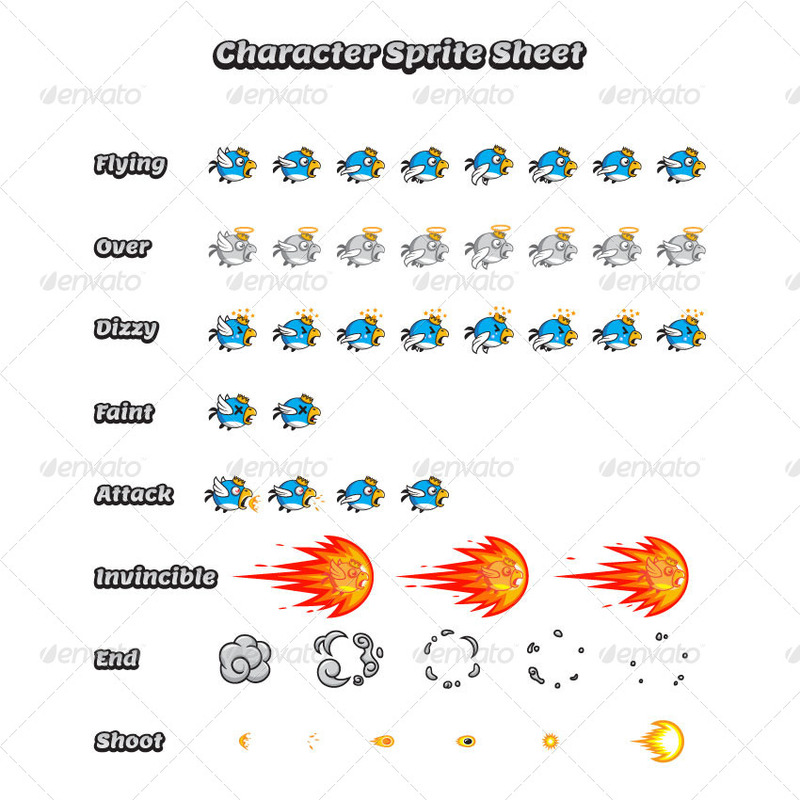 Game Assets – Sky Creatures Game Character Sprite Sheets – This Game asset suit for game developers, or indie game developers who want to make GUI cartoon game for android or iOS. 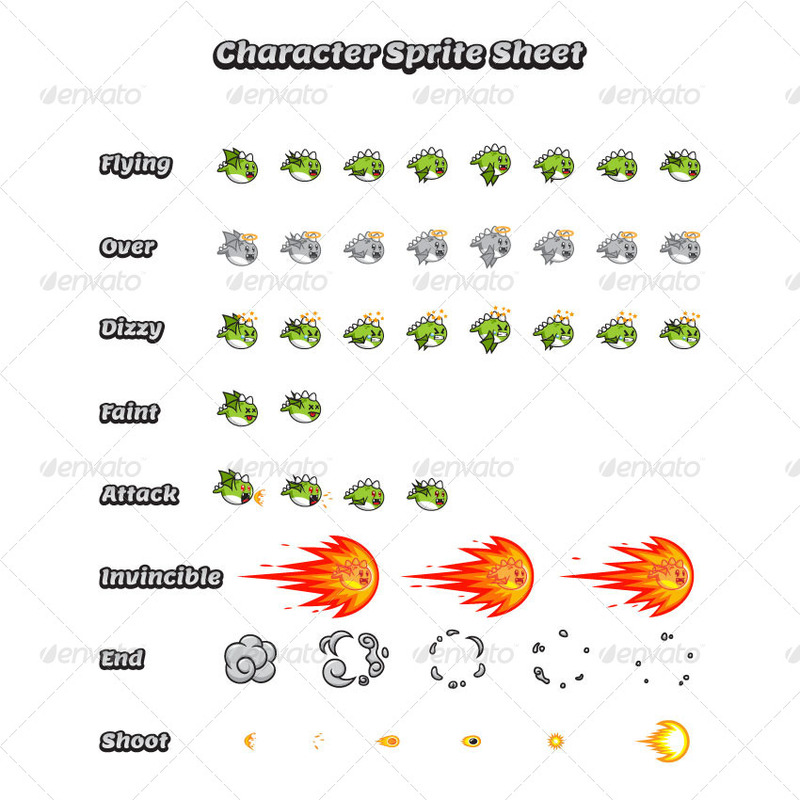 The Game Asset is made with 100% vector. 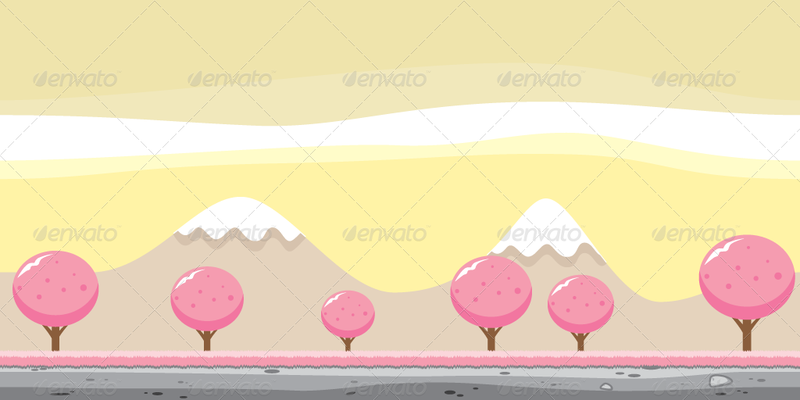 You can edit it with illustrator software. 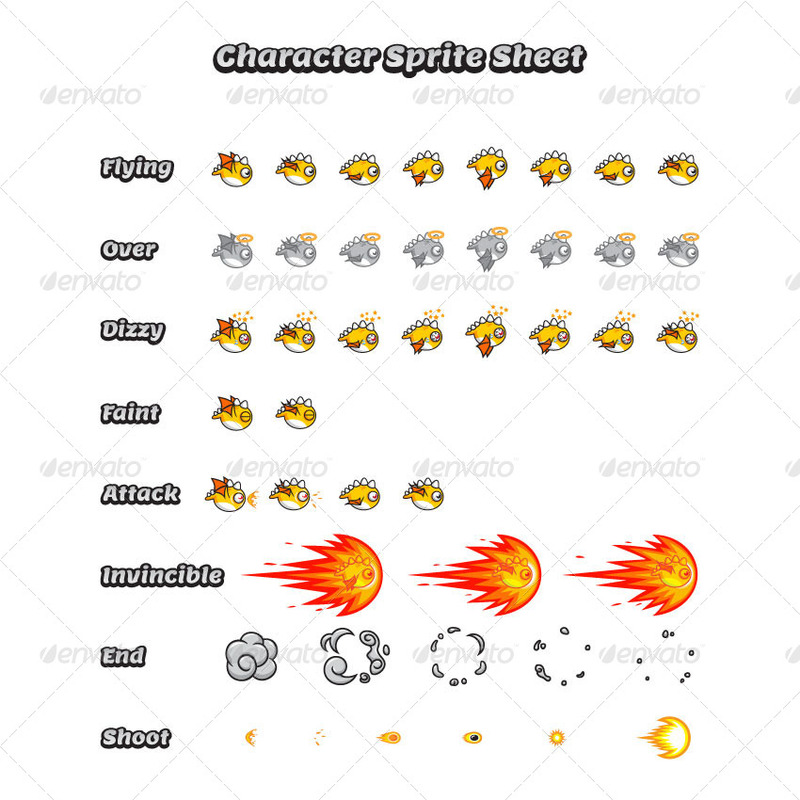 Best for action, flappy bird style, shooting, adventure and other side-scrolling game platform.